Literal Ascension adds intuitive solutions for vertical mobility. Stepladders. Place a Stepladder and climb it to clear a vertical obstacle or to get something out of reach, then instantly pick up your Stepladder with a right click. Carving Tools. 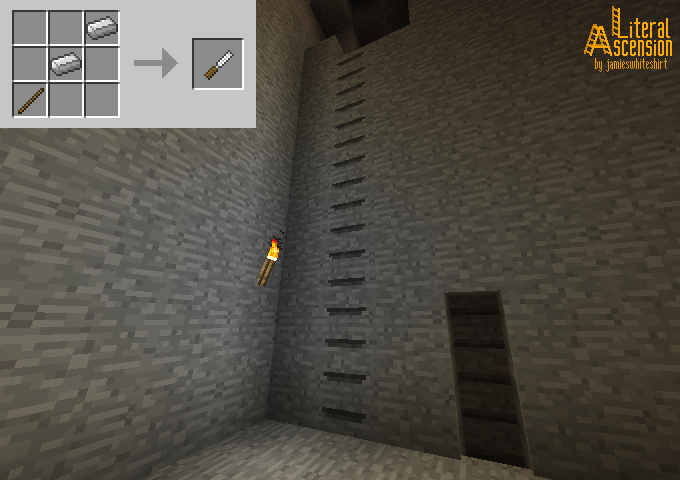 Make your environment climbable by carving notches and chutes in stone and wood with a Carving Tool. Climbing Rope. Feed your Climbing Rope from above to safely descend anywhere. 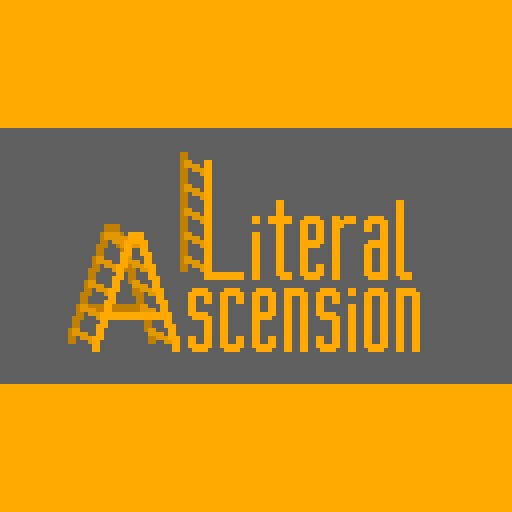 Literal Ascension depends on Shadowfacts' Forgelin 1.0.5+, LLibrary 1.7.0+ and Minecraft Forge 12.18.2.2099+. If you are on Minecraft 1.11.2, make sure to install the 1.11.2 version of LLibrary. Make sure to install the correct dependencies before running the game and reporting any issues. Join me on the Minecraft Mod Development Discord server! Would definitely use this if I didn't have to install 3 mods to make it work. I installed the normal 1.10.2 version, not the deobf, but I still got this message. Can you verify that you have installed Shadowfacts' Forgelin 1.0.5+, LLibrary 1.7.0+ and Minecraft Forge 12.18.2.2099+? It looks like your Forgelin installation is not in order. [11:16:38] [main/ERROR] [FML]: The coremod net.ilexiconn.llibrary.server.core.plugin.LLibraryPlugin is requesting minecraft version 1.11 and minecraft is 1.10.2. It will be ignored. Awesome! For future error reports I recommend posting the full log on pastebin and linking to it here. Mod authors and modpack makers prefer that to have all necessary details and to reduce the size of posts on CurseForge pages. I am having it crash on every load attempt. You installed the "deobf" version of Literal Ascension. This version is only meant for developers. Uninstall the "deobf" version of Literal Ascension and install the ordinary version instead. Updated Forge and problem is fixed. Thanks for the help, definitely going to recommend this mod for the servers I play on. Hi, I've been experiencing crashes every time I place a rope on any surface. OpenGL: AMD Radeon HD 7900 Series GL version 4.5.14008 Compatibility Profile Context 21.19.137.1, ATI Technologies Inc.
VBOs are available because OpenGL 1.5 is supported. 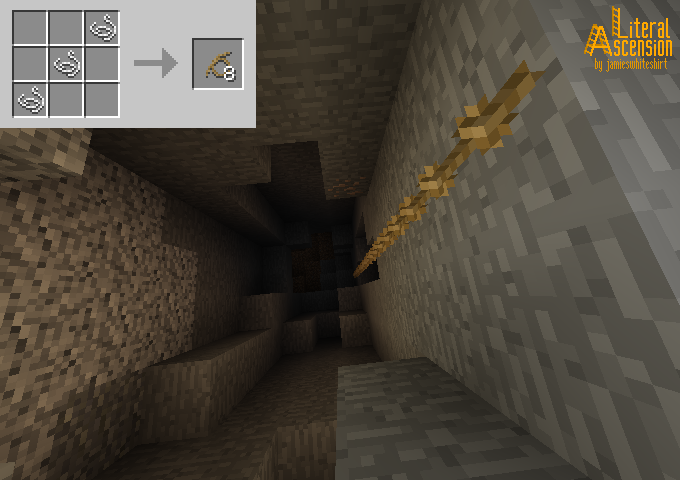 You're on a somewhat old version of Minecraft Forge. I don't know exactly which version of Minecraft Forge is required, what I do know is that Literal Ascension is compatible with at least 12.18.2.2099 and up. Try updating to the newest/recommended version of Minecraft Forge and the crash should no longer happen. It says update the 20th but the most recent file is the 13 of nov. I'm not sure what is about this mod, but this mod just gives off this aura. The aura of "This mod will one day be a mandatory thing to put in modpacks." Good luck! I translated your mod into Japanese. If you don't mind, please add ja_JP.lang. Many thanks! I will be adding a few more localized strings before the full release. Do you mind if I contact you when I have them? Make a Carving Tool, then use it by right clicking the top of a carvable block. If the block is made of stone, the carving tool has to be Iron or better (depending on your configuration). So request for Quark Basalt to go with the Chisel support, maybe add it for any other blocks that might be relevant when that happens. 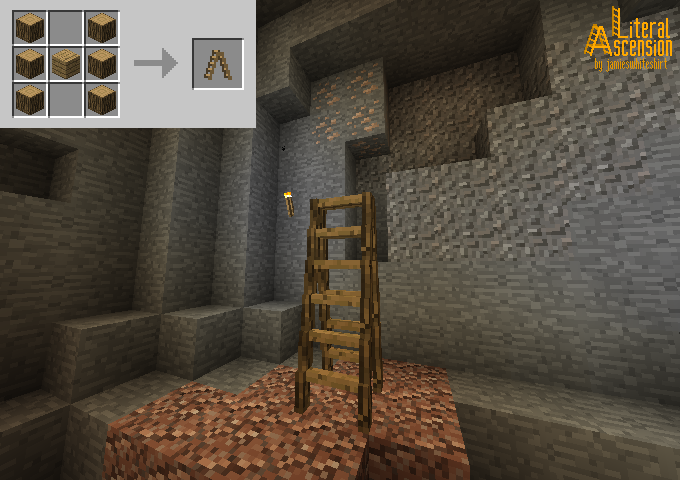 Also Roots Livingwood support, it is a nice texture and the ladders from it could be pretty.